In a conversation with the German newspaper Handelsblatt, French Finance Minister Bruno Le Maire argued that only consolidation and centralization of technological power, economic, financial, monetary, cultural power would be decisive in achieving a united Europe. He declared: "Europe can no longer afford to shrink from exercising its power and being an empire of peace." This comes after French President Emmanuel Macron argued for a European army, saying the continent needed to stop relying on United States, and turn into a hegemon to achieve its full potential. 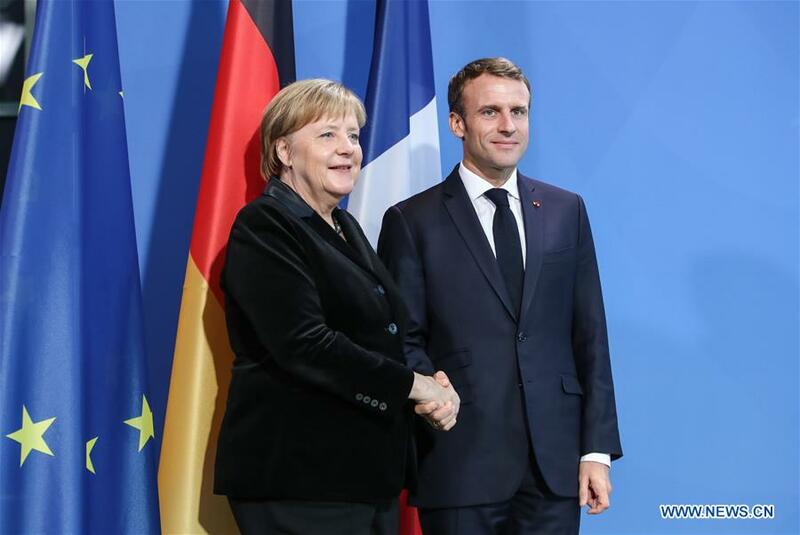 The idea was echoed by German Chancellor Angela Merkel, who commented that "A common European army would show the world that there will never be war between the European nations." Finally, it was lauded by a former prime minister of Belgium, and current leader of the liberal block in the EU parliament, Guy Verhofstadt, in a Twitter message that, "I am very pleased that both Merkel and Macron are now fully behind a European army. We fought for this for many years. In the world of tomorrow, we have to take our destiny into our own hands!" For a long time, this has been something that a few commentators, myself included, have written about, only to have it dismissed as Eurosceptic talk by liberal commentators. In fact, Europe is gradually turning into an elite modern empire, and one needs to understand what could be the significance of that. First of all, in the history of every political union, there comes a time, when it faces a challenge from within, dissenting voices wanting to pry the union open and centrifugal forces wishing to break free. Europe now faces that choice. The rational choice is to crush the dissent, and force uniformity, or federalize, in the belief that Europe, is too big to be united in this way, and the countries in Europe are too diverse, and divided due to culture and history. That leads to a difference of interests. Secondly, the idea of a liberal order is paradoxical, as liberalism is totally opposed to the very idea of any ordering. To order and enforce something, one needs to be illiberal, and that goes against the very definition of rule-based order. What happens when someone doesn't follow the rules? Unfortunately, no country in Europe has the hard power to bring down that hammer, if there ever were a situation of open rebellion against Brussels-based rules. The German Air Force has four operational Typhoons, the French army cannot reach the Baltic states in less than two months and Britain is going out of EU, anyway. The reason European hard power has atrophied is because America is there to provide the muscle if needed. And that is not going to go away. Even if U.S. tomorrow were to leave the continent, the EU would split, as eastern and central Europeans are skeptical of both Berlin and Moscow, and would rather stay under an American security umbrella than one created by Brussels. Finally, NATO was institutionalized, to bring about peace in the continent. The American alliance is, therefore, by design, not a flaw. Any European army would duplicate NATO and would make the latter redundant. That would mean America continuing to spend vast sums on Europe, without anything in return, as the European force, instead of spending on manpower and armaments, would spend the money on a further layer of bureaucracy. The idea of Europe as an empire is dangerous. EU already has disproportionate trade powers, which it uses on arbitrary measures against any and every one, and often ties them up with the cords of values promotion. To have that backed up by an military force (unlikely as yet), is an idea which should unnerve all great powers. However, some European leaders are now openly talking about it. Everyone should take them seriously. The idea now being floated by certain European politicians to create a European army is a dangerous and delusional concept that can only lead to creation of a destabilizing empire.